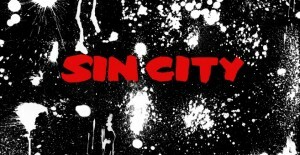 Frank Miller’s ‘Sin City: A Dame To Kill For’ Officially Announced!!! I wrote a story last month on Robert Rodriguez talking about his plans for the much awaited ‘Sin City’ sequel and ‘Machete’ sequel. You can read that story HERE. 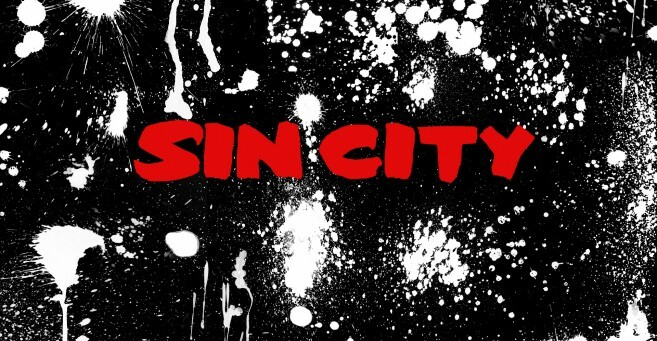 Well, today Dimension officially announced the ‘Sin City’ sequel which will be titled, ‘Sin City: A Dame To Kill For’. This is going to be great. Frank Miller’s story is fantastic and might be my favorite one of the series. The other stories are being kept under wraps and casting is expected to start next week with most of the original cast returning. Shooting should being this summer and 3D is a big possibility. I’m also curious to see if Tarantino will guest direct a scene or two like he did in the first film. AR Films was founded by Alexander Rodnyansky in 2009. Through AR Films, Rodnyansky controls one of the biggest film licensing and distribution corporations in Central and Eastern Europe, A-Company; the Russian film production company Non-Stop Production; a major distributor of independent films in Russia, Cinema Without Frontiers; and the most important film festival in Russia, Kinotavr. Rodnyansky, a renowned documentary director, is also one of the most successful movie producers in Russia. His films have received critical acclaim from the leading international film festivals; the latest – Elena, directed by Andrey Zvyagintsev — received a Special Jury Prize at the 2011 Cannes Film Festival’s Un Certain Regard, as well as more than a dozen international awards, including four Golden Eagle Awards from the Russian National Academy of Film. Elena most recently screened in the Spotlight section at Sundance 2012, and will be released in the U.S. in May. AR Films’ most recent projects are English-language films made in the U.S.: Jayne Mansfield’s Car, co-written and directed by Billy Bob Thornton; and The Goats, adapted and directed by DJ Caruso. Jayne Mansfield’s Car made its world premiere at the 2012 Berlinale. In 2010, writer/producer/director Robert Rodriguez launched Quick Draw Productions, a development, production and financing company, giving the filmmaker capabilities to develop and produce his own media projects across film, television, gaming and interactive platforms while closely controlling the creative process. The Weinstein Company (TWC) is a multimedia production and distribution company launched in October 2005 by Bob and Harvey Weinstein, thbrothers who founded Miramax Films in 1979. TWC also encompasses Dimension Films, the genre label founded in 1993 by Bob Weinstein, which has released such popular franchises as SCREAM, SPY KIDS and SCARY MOVIE. Together TWC and Dimension Films have released a broad range of mainstream, genre and specialty films that have been commercial and critical successes. TWC releases took home eight 2012 Academy Awards®, the most wins in the studio’s history. The tally included Best Picture for Michel Hazanavicius’s THE ARTIST and Best Documentary Feature for TJ Martin and Dan Lindsay’s UNDEFEATED. THE ARTIST brought TWC its second consecutive Best Picture statuette following the 2011 win for Tom Hooper’s THE KING’S SPEECH. Since 2005, TWC and Dimension Films have released such films as GRINDHOUSE; I’M NOT THERE; THE GREAT DEBATERS; VICKY CRISTINA BARCELONA; THE READER; THE ROAD; HALLOWEEN; THE PAT TILLMAN STORY; PIRANHA 3D; INGLOURIOUS BASTERDS; A SINGLE MAN; BLUE VALENTINE; THE COMPANY MEN; MIRAL; SCRE4M; SUBMARINE; DIRTY GIRL; APOLLO 18; OUR IDIOT BROTHER; I DON’T KNOW HOW SHE DOES IT; SARAH’S KEY; and SPY KIDS: ALL THE TIME IN THE WORLD IN 4D. Currently in release are MY WEEK WITH MARILYN; THE ARTIST; THE IRON LADY; CORIOLANUS; W.E. ; UNDEFEATED; and BULLY. Upcoming releases include THE INTOUCHABLES. Recently wrapped was SILVER LININGS PLAYBOOK, and currently in production is DJANGO UNCHAINED. This entry was posted on Friday, April 13th, 2012 at 1:10 pm	and is filed under Film, News. You can follow any responses to this entry through the RSS 2.0 feed. You can skip to the end and leave a response. Pinging is currently not allowed. « Bryan’s ‘L!fe Happens’ Review!! !